Only 4 sleeps and I will be in Bali. I just love Bali, this will be my 4th visit. The first time I went it was my ex-husbands and my first holiday out of Australia. We certainly were not very adventurous and really only did the tourist stuff. The next time we travelled to Bali we had two children who stayed with my Mum and Dad in Tassie while we had our adventurous Bali holiday. We travelled around the island by motorbike. Now you might say that doesn't sound very adventurous, but believe me being on a motorbike on Balinese roads can sometimes boarder on lunacy. 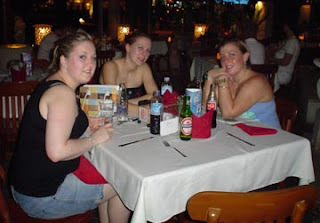 My 3rd holiday in Bali was with my daughter Rachel and two of her friends, Jessica and Casey. That was a hole different experience but lots of fun. Now this trip is different again. I am holidaying with 7 other girls. One of the girls Alice is having a significant birthday and we sure will help her celebrate her milestone. Hopefully I will be able to update my blog a couple of times while we are there. 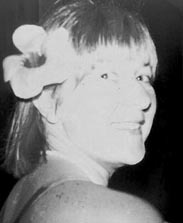 Bali 1977 - Oh I was so young!! 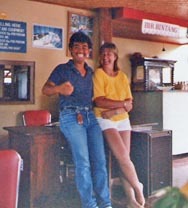 Bali 1984 - OK legs back then and I had two kids. Bali 2004 - Jessica, Rachel & Casey. The spare seat is me!! How exciting to be going away with 7 friends, you are going to have so much fun I can just feel it! I'd like to make that 8 but darn school! :-) I hope that you get to post a few photos while you're in Bali, I'd love to see it there! What a fabulous photo story, Davine. You will, of course, have to post all those pics and the NEW one from this trip! Please wish Alice a Magnificent Birthday Celebration! Look forward to hearing your travel happenings. I hope I'm not too late to wish you a WONDERFUL VACATION!!!!! I hope it's all fantastic and happy birthday to your friend.